Winning at anything brings pleasure—but winning at life is what brings the greatest lasting happiness. 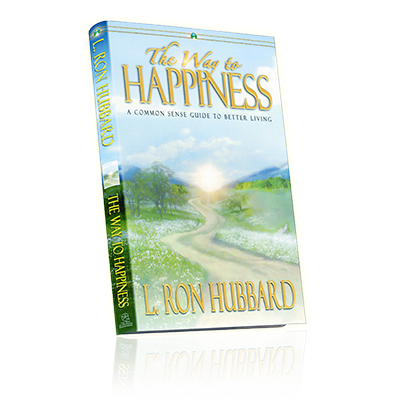 The Way to Happiness book outlines simple, practical and powerful guidelines for living that you can use to successfully steer your way down the road to a happy, successful life. Read it for yourself—and give copies to those you care about! As a gift for anyone who might be having personal difficulties. The hardcover edition is a durable and beautiful volume that will be a valuable resource for years. Beautifully illustrated. Definitions in footnotes for easy reading. 208 pages.